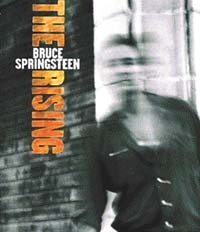 The Rising is Bruce Springsteen’s first album of new material since 1995’s The Ghost Of Tom Joad and his first full studio recording with the E Street Band since 1984’s Born In The USA. If you’re looking for classic Springsteen, this is the right pick. His voice is in robust, throat-clearing form, stripped off the Jersey-dust-bowl affectations that has lately seeped into his delivery. The album was recorded in response to 9/11, through which Bruce Springsteen tries to find light at the end of even the darkest of tunnels. The Rising is about intimate personal loss and the minute devastating details that remind of the living of the dead. The first single is an account of a disaster worker losing his life in the WTC, trying to do his best, rather than looking for a feature in the newspapers. My City Of Ruins sounds brilliant in its newfound arrangement, infused with duty and suffering, tempered by spiritual resurrection and hope. The band is in fine form, though with Brendan O’ Brien’s uncanny production, they play with an urgency and rawness they’ve hardly shown earlier. Worlds Apart, infused with the devotional music of Islamic mystics, is different from the rest. The song opens with the qawwali singer Asif Ali Khan, who is joined by Springsteen, singing of a relationship seemingly doomed by dual cultures. Pick some of the biggest pop artists and musicians in India, shake them in pairs, and what do you get? A splendid new concept album! Channel V’s Jammin’ features twenty of the finest artists, jamming up to produce ten great numbers. An absolutely new concept in the world of music, Channel V handpicked some of the finest musical acts in the industry, facilitated them to get together and create their own music which is entirely innovative and original. The compilation kicks off with the Euphoria and Mehnaz collaboration on the peppy acoustic track Hum. Taufiq Qureshi teams up with Alms For Shanti on the highly experimental Super Bol, showcasing a fine example of vocal percussion. Strings and Sagarika prove that music knows no boundaries, doing soft-edged Pal. However the headliner of the compilation comes in the form of Rhythm & Blues, an incredible effort by the Delhi-based rock band Paikrama and Usha Uthup. 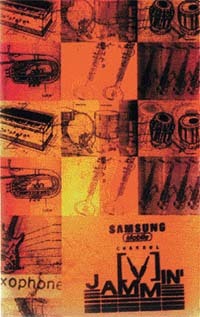 This is musical-innovation at its best. 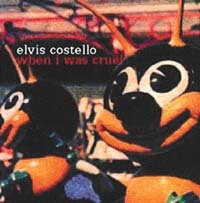 Eight years have gone by between Brutal Youth, Elvis Costello’s last album and the new When I Was Cruel, but Cruel still sounds like a sequel. If his own musical output is any indication, Elvis Costello must have the most eclectic record collection of any A-list singer/lyricist for the last twentyfive years. The current album happily finds Costello turning his compass with two excellent reference points: his 1986 masterwork Blood and Chocolate and the versatile showmanship of 1989’s Spike. The result is an immediately engrossing collection of evocative and moody songs. An important part of Costello’s past brilliance has been his amazing, often cutting, always-literary lyrics, and here too he is in a fine lyrical form. My Blue Window is Costello’s best acoustic track since New Amsterdam and you’ll invariably be hitting the repeat button to hear it again and again. Perhaps the sweetest punch is that at 47, Costello still sounds exactly as he did at 27. With a new lineup and an audibly refreshed energy, Heathen Chemistry finds the quintet back in cracking mid-90s’ form, flaunting what was originally appealing about them and expanding the band’s sound with forays into an acoustic base. Featuring Andy Bell and Gem Archer, the band sounds more spirited than it has in a while. It has a positive energy and enthusiasm that the band has been lacking for years. The Hindu Times is a rocker that can stand pretty comfortably on its own. Stop Crying Your Heart Out is a pleasant ballad, but stifled by a truly mundane melody. The Liam-penned Songbird follows and sets against Little James (his effort on Standing On The Shoulder Of Giants), it really is startlingly good. 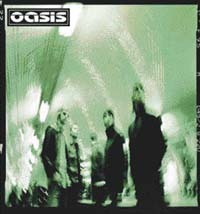 Noel’s Little By Little is probably the best track he has written for his own lead vocals since Half The World Away. This is one of the more pleasant of the flood of "Very Best Of" compilations to hit the local music stores in recent times. This is great mood music. Vocals backed only by an acoustic gear really divide the true musicians from digitally treated artists that are mushrooming every year. The music is relaxing and mellow, just right for kicking back and putting your feet to rest. The tracks are generally of middle-of-the-road, easy listening category. The biggest moments come in the form of Tears In Heaven by Eric Clapton, Ironic by Alanis Morisette, Gallows Pole by rock icons Page and Plant, Mrs Robinson by Paul Simon, Linger by Cranberries, and Kiss From A Rose by Seal. 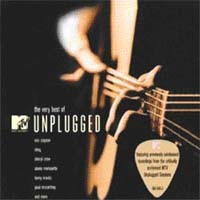 A definitive collection of eighteen classic MTV Unplugged recordings, many of which are commercially available for the first time. Our personal favourite for sure. 1. What was the band’s name before it became Camouflage? 2. Which notable group did Glen Campbell fill in with on an emergency basis when they went on tour? 3. Name the pop rock artist who signed Daniel Cartier for his own record label. 4. Which Pink Floyd song did Jerry Cantrell play on his solo tour in 1998? 5. What was the name of Catatonia’s debut hit single? 6. In which famous TV Sitcom did Chuck D talk about rap censorship, which later became a huge controversy? 7. Which group was Nelly formally with before he went solo? 8. Faith Hill’s hit single This Kiss appears on which movie soundtrack? 9. Who was the first Chip Trick member to release a solo album? 10. Name the latest album by Coldplay.